It is difficult to find the exact population numbers for sea turtles because male and young sea turtles do not return to shore once they hatch and reach the ocean, which makes it hard to keep track of them. However, all around the world countries have set up turtle sanctuaries. Take the Maldives, five of the seven species of sea turtles can be with the two most common being the Hawksbill and the Green Leatherback. What do Sea turtles look like? Sea turtles are visual, fascinating animals. They have large shells that cover their body – the shells help them to glide through the water. Where do they formerly come from? 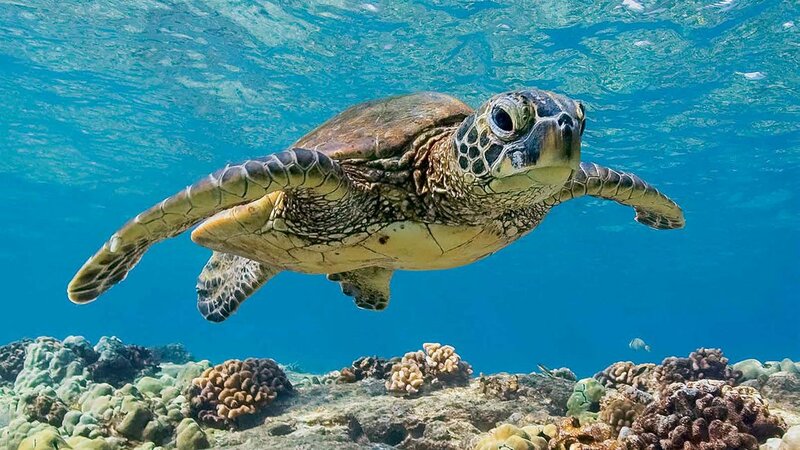 A sea turtle can live for over 100 years, that’s longer than most humans and elephants. What animal class are they? They are reptiles – a vertebrate animal of a class that includes snakes, lizards, crocodiles, turtles, and tortoises. They are distinguished by having dry, scaly skin and typically laying soft-shelled eggs on land. 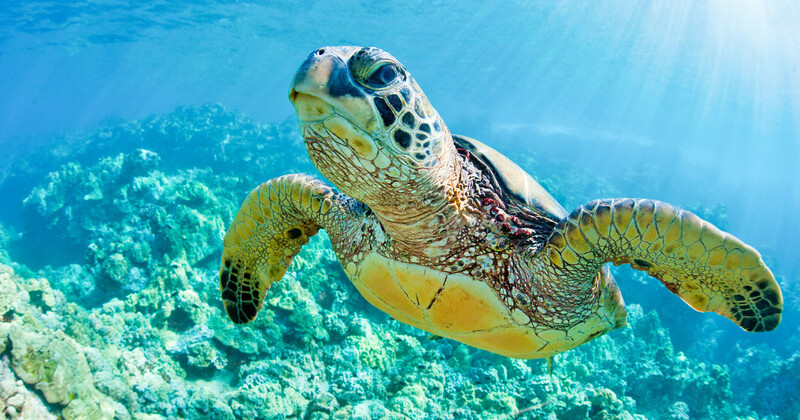 What sea turtles eat depends on the subspecies, but some everyday items include jellyfish, seaweed, crabs, shrimp, sponges, snails, algae and molluscs. How often do they reproduce? – Above 30ºC is predominately female. They mate around March to October, but it depends on the species. Around 70-190 eggs are laid at a time depending on the species. When the young hatch out of their eggs, they make their way to the ocean. Can you have one as a pet? 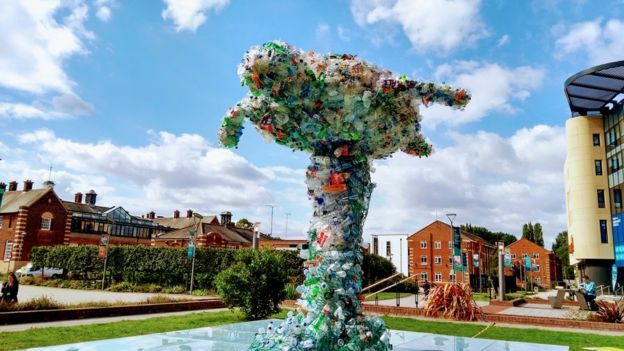 Humans are putting plastic into the ocean, and it needs to stop! We are killing turtles with all the plastic. A team found that younger turtles are at a higher risk of dying from exposure to plastic than adults. We need to stop trying to use as much plastic by bringing our bags to the shops if we have only bought a little bit of food carry it in our hands (if possible) and DO NOT use plastic straws. 2. What is a feature of a Sea Turtle? 3. How long does the average sea turtle live for? 4. What do they eat? 7. How many eggs do they usually lay? 8. If you could have one as a pet what would you name it? 9. What was your favourite fact about Sea Turtles? 10. Would you like to see one in real life?